Pro-Russian militants attacked Ukrainian positions 44 times in the last 24 hours, they also used 122 mm heavy artillery systems banned by Minsk Protocol. Terrorists mostly attacked Avdiivka village located near Donetsk. 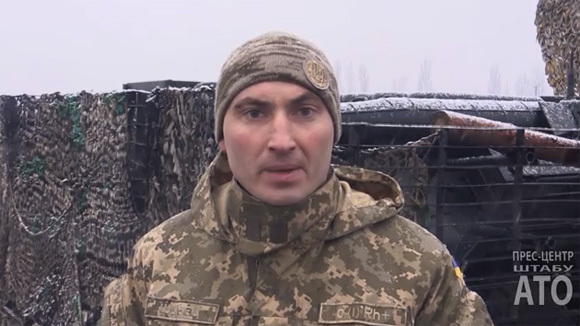 The situation in ATO zone remain difficult and has tendency to get worse. In the last 24 hours pro-Russian armed groups attacked forces of ATO 44 times. Militants used heavy artillery in addition to mortars. Despite 4 attacks on our positions with the use of 122 mm artillery soldiers of Armed Forces of Ukraine defended their positions in Zaitseve and Mayorsk. Avdiivka village remains most difficult location on the map near Donetsk. Here the enemy failed to push back ATO forces from their positions despite the use of various type of weapon. In the last 24 hours following villages were attacked by criminal groups: Luhanske, Novhorodske, Mayorsk, Zaitseve, Leninske, Pisky, Opytne, Shyrokyne, Troitske, Mariinka. Near Lugansk militants tried to storm fortifications of Armed Forces of Ukraine using small firearms. The enemy had to retreat after Ukrainian warriors returned fire.